It took them a while but Belgium eventually got the job done against Panama as they ran out 3-0 winners in the end. The positives to take were that they began with a comfortable win and also that Romelu Lukaku netted twice to continue his good form. Tunisia are next up for Roberto Martinez's men and the Africans are in need of the points following their late defeat to England. They could have been 3-0 down after half an hour on that occasion and it's hard to deny that the Three Lions were value for the win. I really can't see how the Tunisians are going to be able to live with Belgium as Eden Hazard is a lot more creative than any England player, so even if they sit back, the Chelsea man will still be effective. Odds-against for a win by two goals or more is definitely a bet that I'm interested in and it's something that Belgium have achieved in four of their last five fixtures. Now check out Dave Tindall's preview of this match. Mexico pulled off the shock of the tournament so far by beating Germany last Sunday and while I think that they will make it two wins from two this afternoon, it might take them a while to break down the South Koreans. The Germans set up perfectly for Juan Carlos Osorio's side to exploit their weaknesses, but there is absolutely no chance of them being able to hit today's opponents on the break anywhere near as much. South Korea didn't appear to be the same team that have performed well in recent World Cups in their opener against Sweden and their 1-0 loss was their third in four games - and they scored just once during that period. I can see this being a bit of a slow-burner, with a 0-0 scoreline at the break, before Mexico eventually wear them down to get the three points. You can read Kevin Hatchard's preview of this match here. If you watched Germany against Mexico then you might think I'm crazy to be tipping Germany to be winning at half time and at full time in this one, but I can't believe that they will be as poor again this evening, and Sweden don't possess the pace or counter-attacking ability that the Mexicans do. This should be a different game entirely and Joachim Löw's men will surely be better and more suited to a match against a fellow European nation who they know very well. 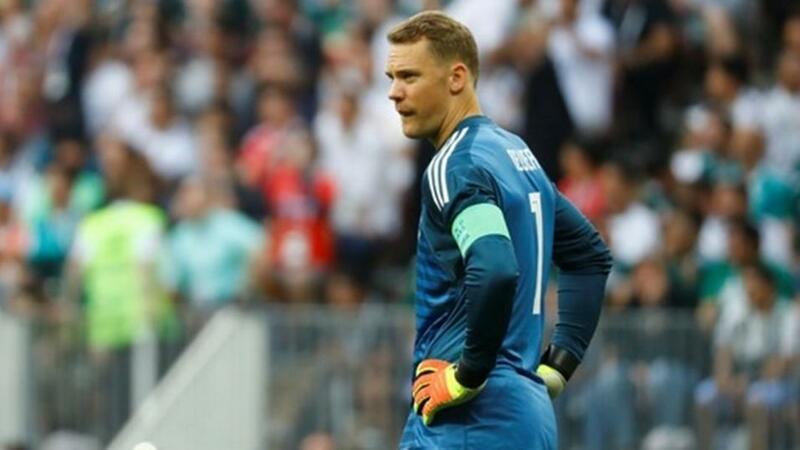 The pressure is also on the Germans to get the win as if Mexico beat South Korea, a defeat would see them exit the tournament, while a draw would leave them massively on the ropes. An early goal would settle the nerves and I expect the reigning champions to be on their mettle from the off. Sweden did win their first match, but they didn't beat much and they failed to score in their three friendlies in the build-up to the tournament. Kevin Hatchard is the man for all things Group F and he's covered this game here.